While we are enjoying today (09/05/2013) our last evening in Kangerlussuaq, the gang up on the ice sheet had a storm pilling up snow around the tents of as high as 1.5 m high. Lots of digging in the wind to relief the surrounding area. 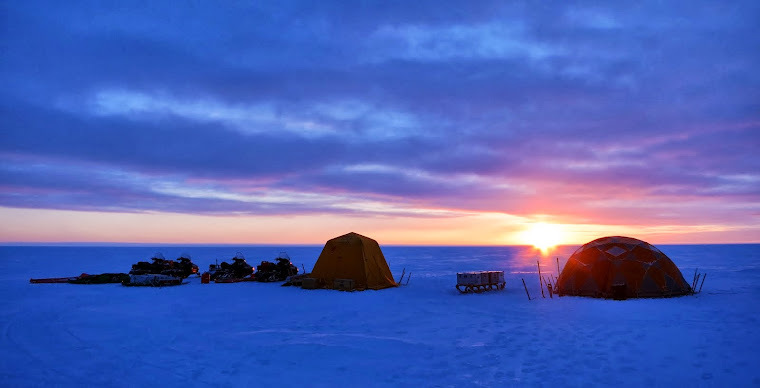 The group stayed in the tents most of the day, completing the logging of the last available core and Mike inventing the "Musk Ox nuggets" that everybody enjoyed for dinner! Meanwhile, us down here finally got a helicopter flight up to KAN_L and performed maintenance there. Currently, preparing for a cozy drinking evening!